Experience the premier skincare and aesthetics clinic in Nigeria, where we bring out what is most beautiful about you. Our incredible array of aesthetic treatments that we offer at arguably the best medical spa Nigeria has to offer, will enhance your look. The cares of the world will fade away as you luxuriate, pampered in our world-class skincare clinic. Our goal is to cater to your every need in aesthetics and cosmetic enhancements. Our in-house plastic surgeon oversees every procedure and administers medical procedures to ensure we achieve exceptional results. We offer a wide array of anti-aging treatments, from aesthetic skincare treatments to plastic surgery enhancements that can restore, rejuvenate, and refresh your look, all delivered at a truly world-class clinic. Experience an exclusive, luxury aesthetic clinic in Nigeria where your face and body will be under the care of top professionals, no matter what enhancement you need. As a top medical spa in Abuja, our goal is to bring you greater joy and confidence, knowing you look simply, flawless. 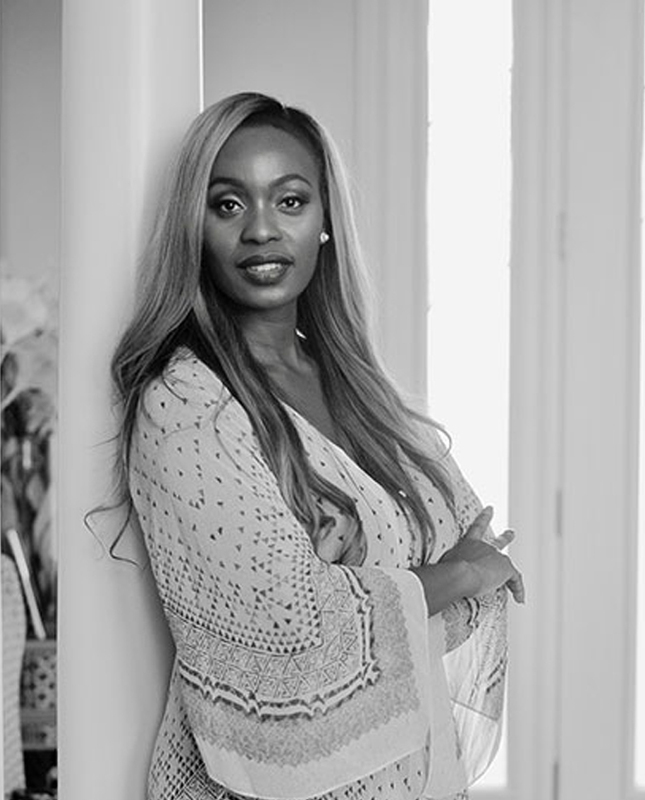 Abby Bakare is Nigeria’s most revered skincare expert, who has dedicated her professional life to helping her clients achieve smooth, flawless, beautiful skin. She uses the best of the latest innovations in aesthetic technology, along with gifts from nature, to achieve consistently exceptional results. Her client list includes the most celebrated, high-profile celebrities, and people from all walks of life. You can expect VIP treatment under the care of Abby, a truly passionate skincare expert who knows all the secrets to creating flawless skin, no matter what issue you want to resolve. Abby was born with a passion for beauty and an undying interest in what modern aesthetics can do for skin quality – and for the self-confidence of her clients. Whether you are seeking advanced anti-aging treatments or dream of having smoother, healthier, more youthful skin, free from flaws and blemishes, you can expect remarkable improvements that you will immediately see and feel – and so will everyone you meet. Relax in an exclusive, luxurious environment while you receive modern aesthetic treatments that bring out your glorious, glowing best. We offer a full range of innovative aesthetic treatments, including injectables, peels, laser treatments, PRP, and more. Our goal is to transform your skin to a smooth, flawless quality and bring out an unmistakable inner glow. Watch the magic happen under the care of our talented aesthetician team, each of whom is trained in the most advanced techniques, performed with meticulous care for superior results. Ready to experience a world-class spa where you will discover the best in aesthetics? Look no further than Flawless Skin by Abby for anti-aging, rejuvenation treatments that will leave you looking and feeling incredible. Are you struggling with dry, aging, blemished, or discolored facial skin? Our skin resurfacing treatments can transform your skin, restoring a youthful, fresh, firm appearance. You are a unique individual and deserve a customized skin rejuvenation treatment that produces results you appreciate. We are committed to our clients and have gathered together the most effective treatments available on the planet, just for you. The magic of modern aesthetic technology can be yours when you visit our world-class skincare clinic. When your skin needs a rejuvenating boost, or you have skin issues you want to resolve, you can trust in the talent and skill of our aestheticians. We are here to help feel younger, refreshed, and transform your skin. Injectables can create stunning enhancements – when performed by our expert injectors. The high-level skills of our aestheticians can enhance your natural beauty, smooth lines and creases, or reduce a double chin. What’s your vision? Experience arguably the best medspa in Nigeria where you can be confident that we have the skills, knowledge, and offer an array of the world’s most advanced injectables for facial enhancement. Your body is your own, and yours to enhance and restore. At Flawless skin, we offer Cellfina treatments to smooth cellulite dimples in a way never before possible. Your custom body smoothing treatment could include Cellulite RX, applied to your body to ward off the skin’s ability to store fat. Our treatment team can help you be free of excess fat lingering on thighs, tummy, or buttocks to create a trimmer, fitter, more youthful figure. "The smell from the reception is mind blowing. Victoria does an amazing job each time, you should totally check them out. Great service overall!!!" "best place to pamper your face/skin. They have the most amazing/friendly staff. Def worth every penny." "I still cannot believe I hadn’t found out about this place earlier (7 years late!) I’ve tried a lot of products, but this is the best one yet; you can actually SEE your skin clearing. Would recommend 110%." "Beautiful Ambiance and very welcoming...then the staffs are absolutely beautiful and always smiling 😊,they take care of u so well and their products are divine..I’ve been using this spa for two years now and I have no regrets,definitely the best in Abuja." "Abby med spa is an amazing place to visit. The staffers are great and I absolutely love their services. I just got my second treatment by Loppy, and I love love love it already. Looking forward to my next visit in a month time." "It was very nice and pampar here in flawless skin care. I hope to bring more friends to share this beauty and unique care."